Is Pacific Rim worth watching? 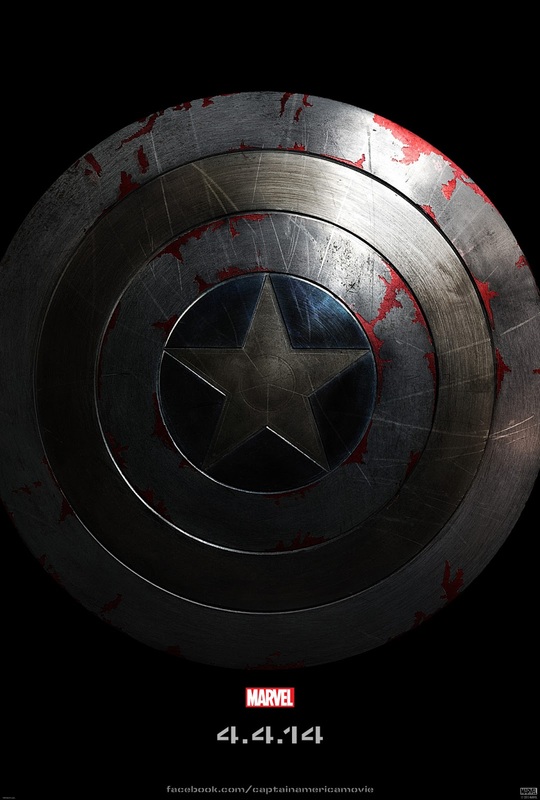 Why is Captain America's shield scratched? Is Batman a hoarder? Which female Captain America star is getting her own short film? Find out in this week's top ten geek bits. Here's the teaser poster for Captain America: The Winter Soldier which opens April 14, 2013. Bubbawheat asks a good question. @Thegeektwins @CaptainAmerica so vibranium isn't scratch resistant? Which begs the question: Is Vibranium scratch resistant? We'll have to wait till the movie comes out to see, but according to the Marvel Wiki, "This shield is composed of a unique alloy of Vibranium, Adamantium, and an unknown third component. It is virtually indestructible." So, it's not technically Adamantium which is "unbreakable." So, what do you think? Why is the shield scratched? "Although most superheroes could be diagnosed with a mental illness or two, Batman always seems to be a cornucopia of neuroses. 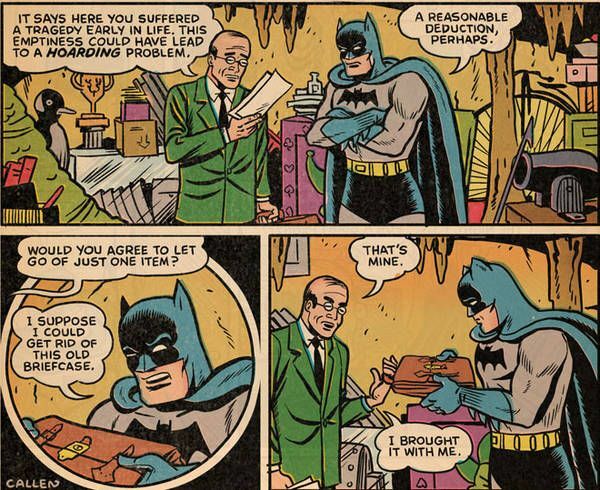 When it was suggested to Kerry Callen that the Caped Crusader he may be a hoarder, he was inspired to write a comic about it. It's only two pages long, and what you see here isn't the only joke. Link -via Boing Boing"
I absolutely love the B-Movie hilarity of SyFy channel movies and this one looks brilliantly stupid. As exciting as this is, T.S. makes a good point. We still don't know who Vin Diesel will be playing, but some have suggested the poster behind him is a hint. What do you think? To increase our popularity, we've decided to follow Pat's advice and add bulldogs to the site. In the most anticipated movie I'll probably never see is the Korean film Snowpiercer. I wrote a whole in-depth analysis of Snowpiercer for my other blog Film Sketchr, but here's the basic plot: "Snowpiercer is set in a future where, after a failed experiment to stop global warming, an Ice Age kills off all life on the planet except for the inhabitants of the Snowpiercer, a train that travels around the globe and is powered by a sacred perpetual-motion engine. A class system evolves on the train but a revolution brews." Here's the trailer and Eli Reyes, from Geek Tyrant, knows Korean and is able to translate the featurettes. Rotten Tomatoes has the movie at a 75% rating and Here's what 11 mainstream critics think of Del Toro's Pacific Rim via Blastr. I'll summarize: it's awesome, but not too deep. Are you going his weekend? "Me Likey" - Ian must pose as Dr. Jason Cole at a hospital fundraiser in order to get closer to Olivia. It turns out NBC is airing the remaining episodes of this "Jekyll and Hyde" show and I couldn't be happier. My favorite part of the show is the dynamic between Ian Price (Steven Pasquale) and Dr. Jason Cole (Steven Pasquale). They're always playing tricks on each other and lying to each other while trying to work together. Ian agrees not to go to strip clubs and goes to a bar and gets in a fight. The guy he beat up is in the hospital and ends up being treated by Jason. It's brilliant stuff. They finally resolved the storyline wth his ex-girlfriend Olivia in this episode and its inspired. Jason tries to get him to give a speech and it almost goes horribly wrong. But then it turns out Jason wasn't lying when he said he'd give him Olivia. She's not scared of Ian, but afraid of the person she becomes when she's around him. I do love this show and I'm sorry it was cancelled and banished to the "Saturday Death Zone" of television. This is another great episode as Tom (Noah Wyle) has to deal with Hal's (Drew Roy) betrayal and the 2nd Mass struggles to reconcile acting to defend the group and save the man they love. The scene where Hal's trying to talk them out if using the alien Voln tool to get the bug out of him is heat-breaking as he pleads for his life. On the other hand, if they're trying to get me to hate Pope's (Colin Cunningham) character they're doing a great job. Between betting on the death of Hal and Tom and teasing Hal for being freed from the bug, he's becoming more and more unlikeable. Where's freak-baby? Nowhere in this episode. Yes, Sharknado was stupid and funny. I kept waiting for a cameo from Sharktopus. And if the shield is bullet-proof, shouldn't it also be scratch-proof? wait, what happened... i am so looking forward to the captain's return... you knew that already. Yes, Heather is right those are pugs, not bulldogs, but close! If you go on Flickr you can find some pictures of my avatar Butler Blue 2 posing with Star Wars characters at a restaurant. What happens if you shoot a vibranium shield with an adamantium bullet like the one they used in X Men Origins Wolverine? Did that just blow your mind? I'm sure Sharknado like Snakes on a Plane is great for a trailer but gets deadly dull after 2 hours of it. Summer Glau please don't curse that show! SharkNado was absolutely brilliant. If you like B movies [I do, too], you'll love this one. It was so awesome. Despite the casting, I want to see Sharknado. Scratches in CA's Shield... Wolverine's claws? Silver Surfer? Jay Leno's bionic chin? You know, I had heard nothing about Sharknado, but Twitter was BUZZING about it. I would think so Alex, but apparently not. Ooo mind blown Pat. Wolverine vs. Captain America! Ah ha! Vin is tricky. Tara Reid had gone downhill Medeia, but I still want to watch it. 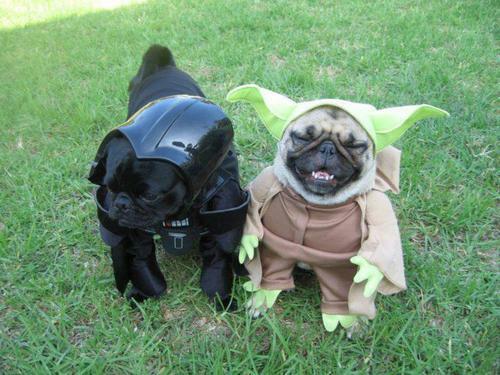 Hate to tell you, those are pugs...;) I did LOVE Sharknado, so hilarious. And You got to love a movie which makes Ian Ziering and Tara Reid parents. Didn't you just love the chainsaw at the end when he merges with his girlfriend who had been swallowed whole earlier? Totally delicious cheese!